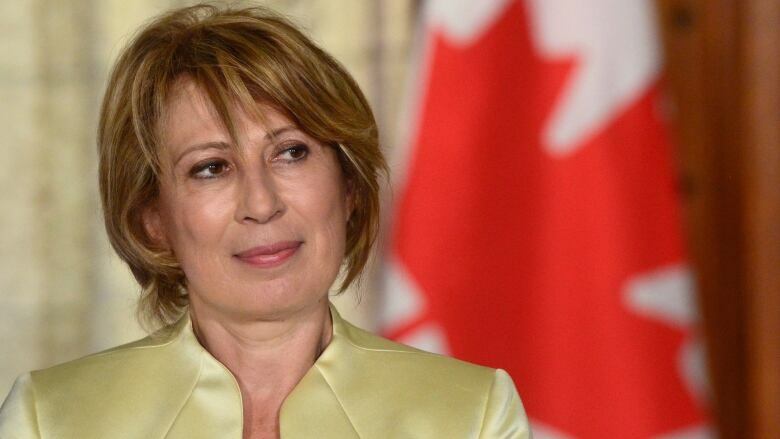 More than two years after Prime Minister Justin Trudeau first promised to appoint a new chief scientist during the 2015 election, this week he announced Dr. Mona Nemer would be Canada's new Chief Science Advisor. Prime Minister Trudeau said, "She will provide advice to ensure we have the evidence we need to make good decisions for all Canadians - decisions that will help us to strengthen and grow the middle class and build an economy that works for everyone." Originally from Lebanon, Dr. Nemer did her PhD in Chemistry at McGill University. Prior to her new role as our country's chief scientist, she was the Director of the Molecular Genetics and Cardiac Regeneration Lab, and vice-president of research at the University of Ottawa. We asked the Quirks & Quarks audience if they had questions for Dr. Nemer about how she'd advise the Prime Minister. Here are some of her answers. Bob McDonald: Well since you are Canada's new chief science advisor, we asked Canadians what questions they'd like to ask you. Our first question echoes the major finding of the Fundamental Science Review, otherwise known as the "Naylor Report," which is that the government should support investigator-led research over government-priority driven research. So our first question comes from Joe Casey on Twitter. What are your views on the balance of applied versus curiosity driven research? Dr. Mona Nemer: Clearly I'm a strong supporter of discovery research, of investigator research. This is how I conducted my entire career. And I think we have some good successes to show from numerous labs around the country. I think we need to remember that research is a continuum that starts with discoveries, so discovery is the essential ingredient for it and discovery research -- we don't know to which area it's going to be applied, and as you well know it often is applied to things that we never imagined before. BM: Our next question about funding comes from Jim Woodgett. He's the Director of Research at the Lunenfeld-Tanenbaum Research Institute. Dr. Jim Woodgett: Part of her mandate is to assess and recommend ways for our government to support high quality research within the federal system. As she obviously knows, Dr. David Naylor was commissioned by Minister Duncan, the Minister of Science, to produce a report, which recommended an increase or a reinvestment to restore funding levels to that achieved in 2007. So my question is, does she think that the government will be to deliver on this fiscal ask? MN: I think that it's clear that Canada has fallen behind our peer countries, the OECD countries. And why it should matter to Canadians is that we have to remain competitive, because if we're not, then we're going to lose the global game of talent. We're not going to be able to have brain gains and other countries will become more competitive in recruiting talent from around the world, including from Canada. So I think it's in the best interest of Canada and the entire population that our science system and research remain strong and competitive. So yes, I support increased funding for research. BM: We have another question from Simone Larin‏ on Twitter. MN: Climate change is on everyone's mind, after the summer that you've seen, and the various summers and winters that we've seen. Climate change is a reality, not a fiction, the scientific data is clear on this. I think that we need to roll up our sleeves and address it. Science and the research are a critical components of the solutions. BM: Our next question comes from the executive director of Evidence for Democracy. Dr. Katie Gibbs: Climate scientists right now are concerned that their main source of funding is drying up. The government didn't renew funding for the Climate Change and Atmospheric Research fund which runs out at the end of this year. This means that critical research programs like the high Arctic station PEARL are set to close. Would you advise the government to keep the Climate Change and Atmospheric Research fund running? MN: Of course, the climate change portfolio is handled by the Minister of Environment and Climate Change, Minister McKenna. I certainly look forward to helping her and her department in any way. If they ask for my help and advice, I'll certainly get onto it. MN: Yeah, I think you raise an important question. I think we're gonna need, as a community and as a country, to look carefully into this and provide a roadmap for sustainability. BM: Our next question comes from Sarah Boon on Twitter. MN: Yeah that's a tall order. Gender and diversity issues in STEM are certainly also very dear to my heart. As a female scientist, I've gladly done outreach at different levels from high schools to young scientists and early professors and researchers. So I think for me, it is not simply a gender or a minority sort of gap, it's a societal issue that needs to be addressed by the entire society. We all gain from having more woman and having more diversity entering into the STEM field, being promoted, becoming leaders, and having more role models is very important. And I'm going to continue to do my best and my part. But you know, it requires the entire society to get to where we all have ambitions to be. BM: Our last question comes from Chad Atkins‏ on Twitter. MN: Let me first say that yes, I know this survey, and I am quite preoccupied and at times, I would say distressed by it. Science is not about beliefs and opinions. Science is about facts. We all have a responsibility in making sure that Canadians understand this and understand also the science that underlies, in many ways, decisions they make in their everyday lives from food, food security, food quality, decisions about transportation, about health, you name it. So this is an important consideration. And I sincerely look forward to working with many stakeholders on enhancing science literacy in Canada. BM: Just one last thing, as our science adviser do you have a message to Canadians about the role of science and Canada's position in the world? MN: I actually do. I want Canadians to know that there is great science going on in Canada and that they should be very proud of the science that goes on, and the science that has come out of Canada. Be proud. You know, science is part of our culture of our identity. Please be engaged, continue asking questions, participate as much as you can. It will all make us stronger. If sound needs air to travel, and there is no air in space, then how are sounds like Saturn's rings recorded?